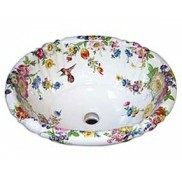 Vessel sinks are the original wash basin. 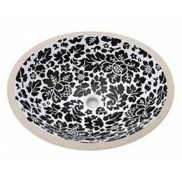 They make the perfect canvas for decorating because they sit above the counter and can be see from anywhere in the bathroom. 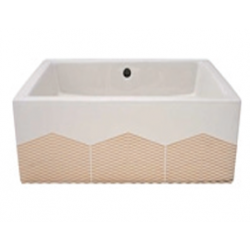 Most of our vessel sink designs can be applied to any shape of vessel sink, square, round or oblong. 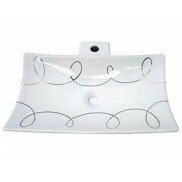 Many vessel sinks are best used with a slightly lower level vanity so the height is more comfortable for hand washing. Pretty white daisies with gray shading, bright yellow centers and green leaves painted around the in..